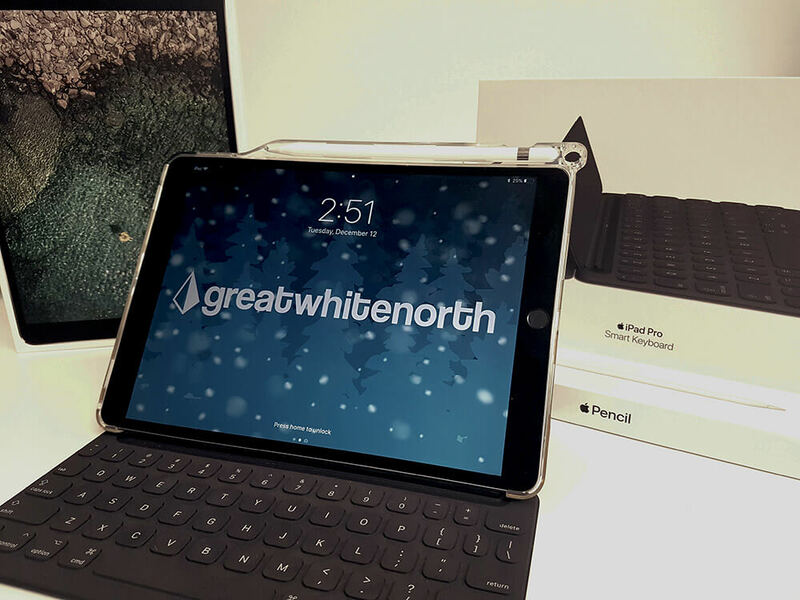 Great White North’s Go-To Gadgets – Great White North Technology Consulting Inc. Starting a new job can be an exciting yet scary experience; changing your daily routine, meshing with new co-workers. Starting a new job at Great White North in September was a lot easier than I thought. The staff are extremely welcoming and willing to lend a helping hand. While there was and still is a lot to learn about this fantastic industry, one added perk was having the opportunity to try out techy gadgets that I wouldn’t have otherwise gotten my hands on. Technology wasn’t new to me; being born in the late 70's meant growing up in the start of the information age. The last 30+ years saw home entertainment revolutionized, gaming become mainstream, and the Internet change the world as we knew it. Having raised 3 gamer kids, I thought I was at least in the proverbial loop. The following list of gadgets might not all be new to you, but they were definitely new to this girl. As we enter the crunch of the holiday season, consider some of these for your tech savvy and forward thinking spouse or child. There’s nothing quite like last minute gift shopping that actually tops their wish list. Admittedly Sonos music players have been around for some time. The company was founded in 2002 but the compact networked speakers we know today were introduced to market in 2011. Partnering with major music suppliers like Sirius XM radio, Apple music and Spotify, to name a few, meant that Sonos provided access to all your music libraries in one place. 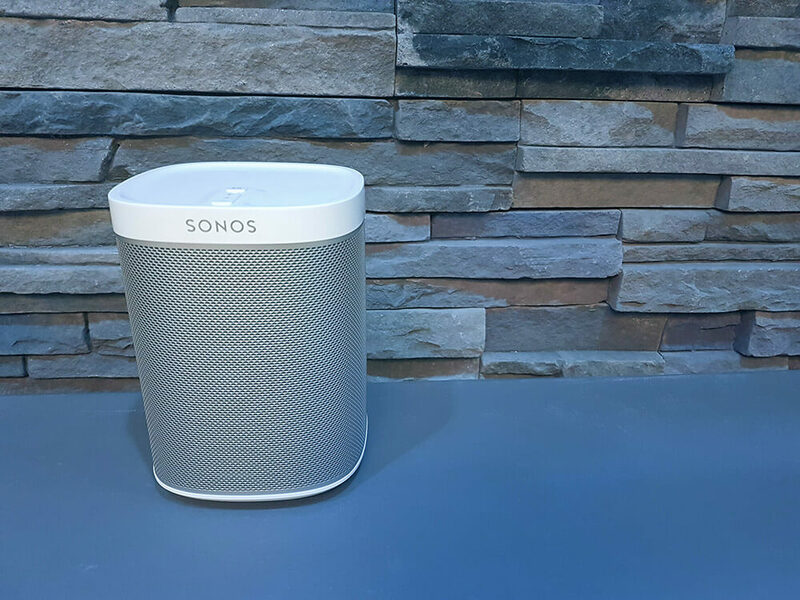 While many are likely familiar with Bluetooth technology and its ability to play your music from a short distance just about anywhere, Sonos allows for music control like no other. It fills your home with music with control from your PC, smartphone or tablet. Connecting them was fairly simple; as long as everyone is on the same network, you’re set! The best part of having Sonos in the office means everyone can listen to their favourite music without affecting anyone else’s listening experience. If, for instance, you are playing your music a tad too loud and the boss gets an important call, he can turn your music down without skipping a beat. Want to play your music throughout the entire office for an in-stereo experience like no other? Sonos! I found Sonos so amazing that steps have been taken to add it throughout my home. We’re avid music listeners and the ability to share a song with the teenager in the basement without having to leave the room is a definite plus for us. For the office, Sonos made listening to music at work a personalized experience; allowing to get to know new co-workers and their music taste first-hand. About a week after starting at Great White North, I was given a pen. You might be thinking to yourself what’s the big deal about that. This was no ordinary pen but rather a computerized quill, Neo Smartpen N2. At first glance, this pen looks no different than a traditional one. Still, I thought to myself “What could a pen possibly do to wow me?” Well, other than the fact that it writes no different than a regular pen, the Smartpen took my writing experience to the next level. 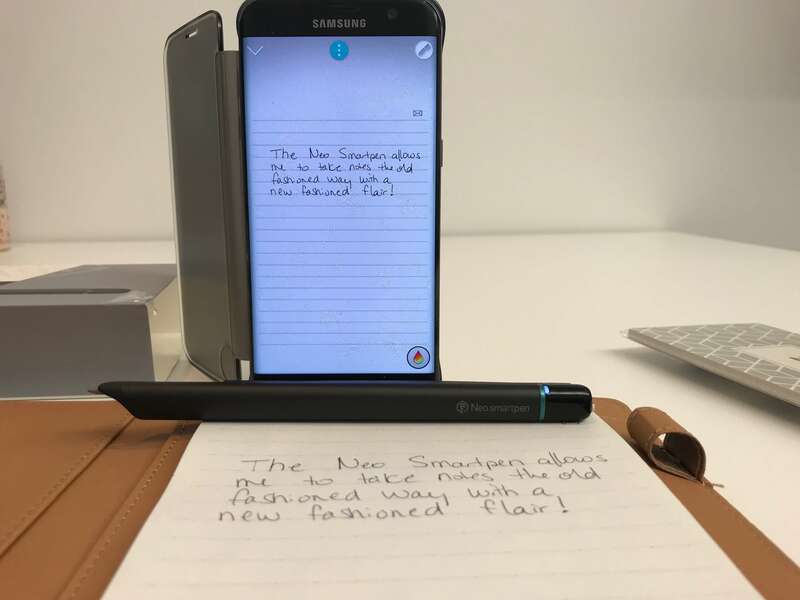 Opening the Neo Notes app and watching your notes appear on your smartphone in real-time as you write was nothing less than astonishing. Admittedly, it made me giggle. The Neo Smartpen N2 is perfect for those who love the old-school look and feel of taking notes with paper and pen but who want a digitally backed-up copy. Granted, it needs Neo’s own Ncoded paper to work, the range of sizes and notebook styles aims to please. The Neo Notes app allows for customization of print size and colour plus add accompanying audio tracks. Need to ask their helpdesk a question? Draw a checkmark on the enveloped found in the corner of every page and you’re on your way to getting your answer. We’ve all seen those videos on social media where one very talented chef is taking your kids’ favourite characters and turning them into pancakes. They’re amazing to watch come together. Pancakebot takes the process of pancake creations and makes it available to those who can’t draw a stickman. Watching Pancakebot in action is a treat in itself. 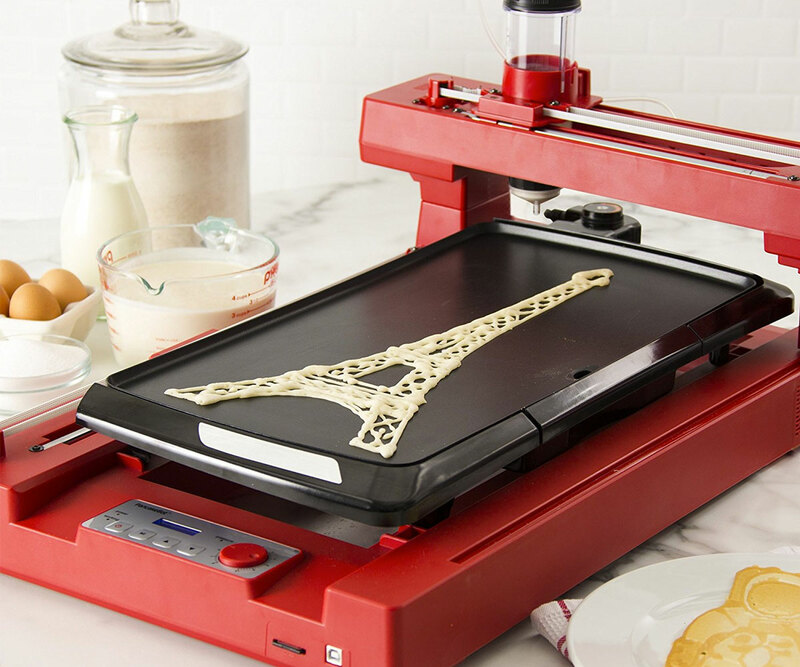 The edible 3D printing process begins with Pancake Painter, the bot’s own drawing software. Designed to help you visualize your final product, the final creation is saved in a GCODE format. Save it to Pancakebot’s SD card and you’re ready to watch the magic. It starts with the darker zones of your design to allow them to cook longer than the lighter areas. While Pancakebot looks like the common hot plate, the added mechanical arms and pancake mix squeeze bottle hanging upside down on the upper arm tell you this is a complex cooking machine. Have a company logo or mascot? Pancakebot can turn your typical office breakfast gathering into a branded buffet. Five years ago I purchased my first iPad. It was the first generation iPad mini. At the time, I thought it was a marvel in itself. Capable of doing everything my iPhone could do but on a display the size of a graphic novel. When I started working for Great White North, I quickly realized that the 5-year-old tech was showing its age. It couldn’t keep up with baseline apps I needed to get my work done. Soon after joining the team, I was provided with an iPad Pro with a 10.5 inch display. Complete with the Apple pencil and Smart Keyboard, this new iPad enables features I never dreamed could be capable on a tablet. While the repertoire of apps available on iOS is no small feat, adding the ability to connect to my GreatCloud Workspace gave me the flexibility to work anywhere. The Apple Pencil is the first Apple stylus, capable of functioning with virtually any app currently available. I purchased an aftermarket drawing stylus for my son some years ago so he can further his portfolio of digital drawings and animations. It was only compatible with certain apps which left much to be desired. The day I received my new iPad, I brought it home to let my son give it a test. He instantly fell in love with its responsiveness, palm rejection technology, pressure detection and shading capabilities. He made a conscious decision this was going to be his next purchase. The Smart Keyboard doesn’t just add screen protection for your iPad Pro, but connects lightning fast through the Smart Connector down the one side of the tablet. Gone are the days of Bluetooth keyboards that need charging and pairing. Want to avoid using the on-screen keyboard? Fold out the Smart Keyboard and like magic, the on-screen keyboard vanishes giving you the full view of your screen. Needless to say, my iPad Pro goes with me to every meeting, big or small. 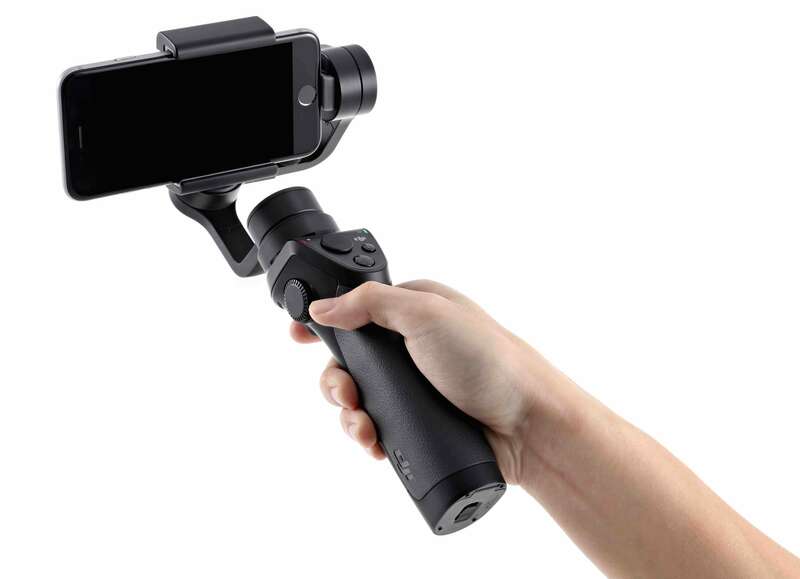 At first glance, the DJI Osmo Mobile looked like a glorified selfie stick. Once I had my phone balanced and I turned it on, it was obvious I couldn’t be more wrong. After watching a few short YouTube videos on how to best use it, I had augmented my cinematography abilities tenfold. I had done some research on motion stabilization on the new iPhones but the DJI Osmo Mobile doesn’t compare. This smartphone gimbal stabilizer made taking those fly-through videos smooth and steady with little effort. Paired with the DJI Go app, I was able to create time-lapse and motion time-lapse like a pro. This was one gadget that was actually fun to learn. It gave instant gratification and stunning results. Starting at Great White North was one of the best work experiences I’ve had. Having the ability to try some of the technology gadgets available was simply an added bonus to what is already shaping up to be an exciting career. If you have a gadget savvy individual on your Christmas list, consider one of these. They are sure not to disappoint. Starting a new job at Great White North in September was a lot easier than I thought. The staff are extremely welcoming and willing to lend a helping hand. While there was and still is a lot to learn about this fantastic industry, one added perk was having the opportunity to try out techy gadgets that I wouldn’t have otherwise gotten my hands on.